It’s my pleasure to meet with oversea open source friends in Hong Kong. I just prepares a list of recommended Hong Kong places should be visited to a Mozillian from Germany. I called few dinners for overseas and local open source friends at a upstair cafe in Mongkok. After dinner, we spent an hour long to walk to Old Fruit Market, Old Police Station, and Temple Street. The Peak in Hong Kong Island. Lan Kwai Fong in Central, Hong Kong Island. Tai Tam Reservoir is an easy hiking path to look some old reservoirs built by British. Stanley in south of Hong Kong Isand. 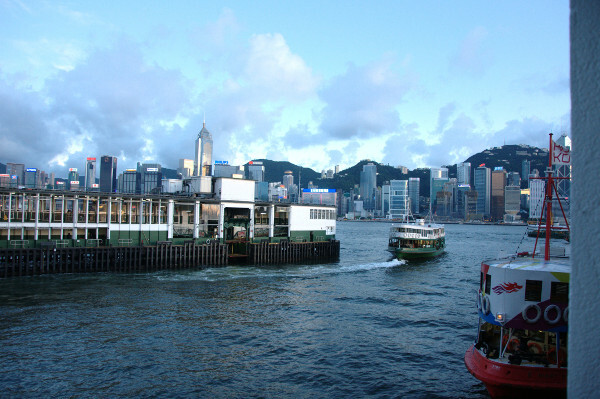 Taking Star Ferry crossing the harbour. Avenue of Stars in Tsim Sha Tsui, walking to east to Hung Hom promenade to enjoy harbour scene. For tourists staying in Hong Kong for 4 days and longer, it is also suggested to visit Macau for a day trip. This entry was posted in Travel and tagged hongkong by Sammy Fung. Bookmark the permalink.